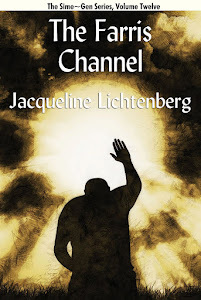 2012 original publication, The Farris Channel by Jacqueline Lichtenberg (maybe my longest novel to date) is now available in Paper and E-book (Kindle, Nook, etc, etc). That makes 12 volumes in Sime~Gen, and you can find them in this handy Kindle "store" then find links anywhere. http://astore.amazon.com/simegen-20 -- one universe, all genres from Action Adventure and Paranormal Romance to Medical Drama. We plan to have a Sime~Gen Novel in each genre. 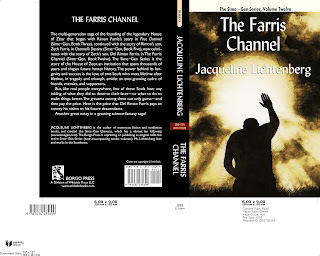 The Amazon page for the 12th Sime~Gen book, The Farris Channel, just went live, so I expect the paper editions will be available everywhere now. Ebook very soon - in most all popular formats. Columns are posted and indexed back to 1993. The archive has been updated, completing postings for 2011 with the posting of the review columns for October, November and December. The index pages have links to each book's Amazon page for handy reference. We also now have a set of handy "share" buttons at the top of each page along with the year-date index. THE FARRIS CHANNEL - coming soon! 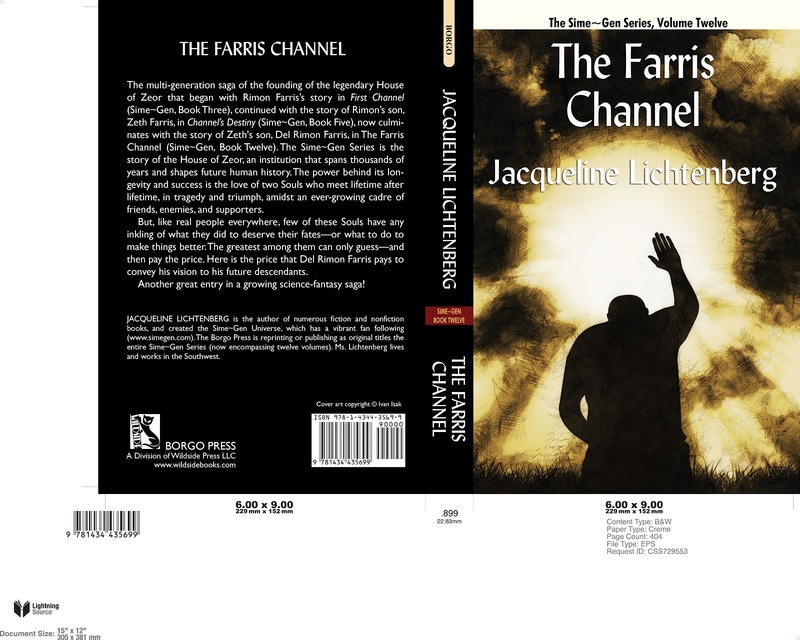 I have just been given the full cover of THE FARRIS CHANNEL, Sime~Gen Book 12. It is now in the process of being made available Print On Demand -- it's a long book, so the trade paperback will be expensive. It's printed on acid free paper with a very sturdy binding. The e-book edition is likewise moving into the hopper and will appear within a few days, we expect. 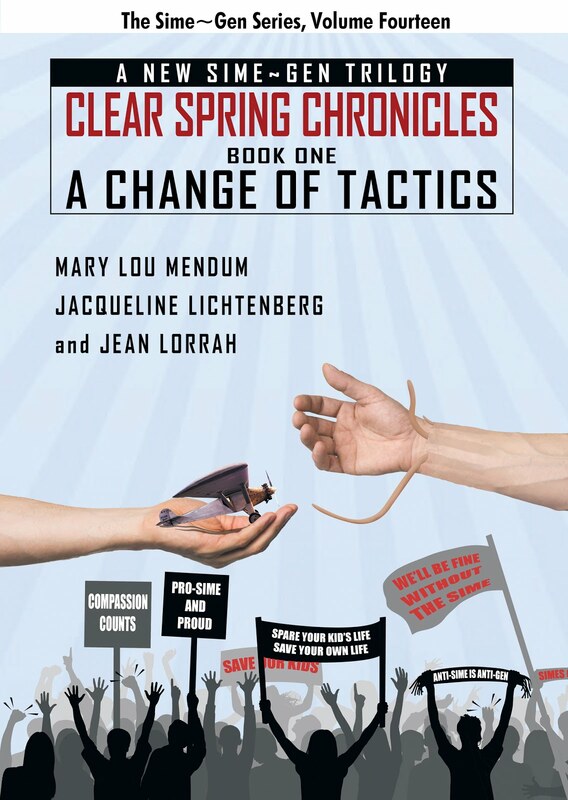 You will find this available at all the best online outlets, with the e-book in your favorite format.